Grzegorz Wroblewski, my bad . 26.5 x 39.5. Mixed media on paper [6.10.1990]. 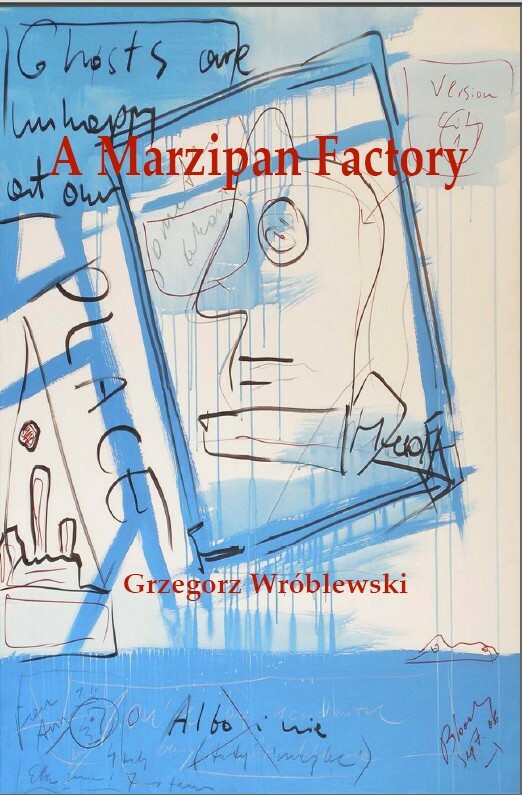 Nice review of Grzegorz Wroblewski’s A Marzipan Factory over here. Nomadic surrealism and also absurdism. 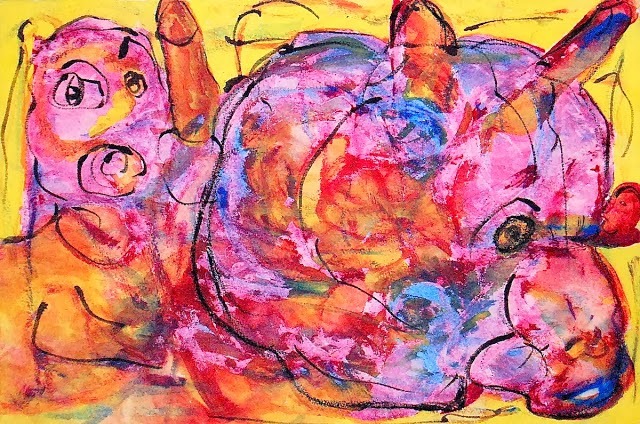 they are even better live in person . . . .
so happy happy gluck lick Ewa and I have two of his paintings on our wall . . .